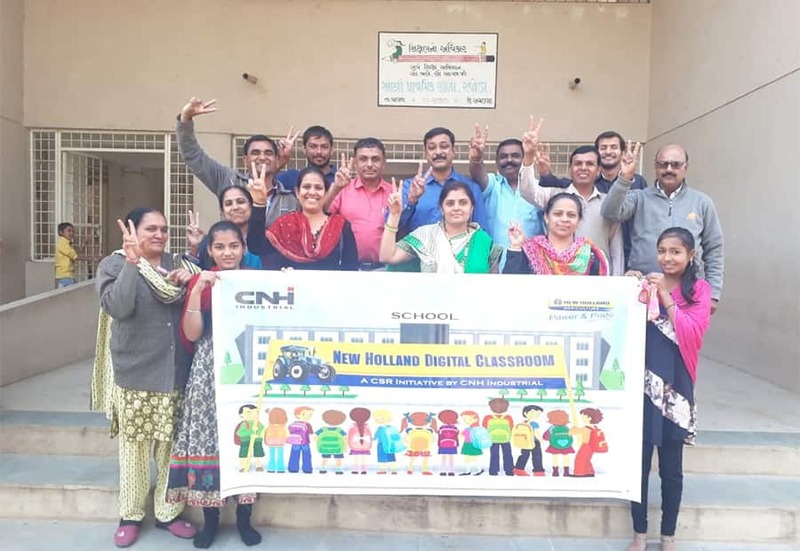 New Holland Agriculture, a brand of CNH Industrial (NYSE: CNHI /MI: CNHI), has initiated a multi-media aided school education project named “New Holland Digital Classroom” that will benefit 77 schools supported by New Holland dealerships across the country. This program is being rolled out in 16 states, including Gujarat, Haryana, Karnataka, Maharashtra, Madhya Pradesh, Odisha, the Punjab and Tamil Nadu. It is expected to benefit some 30,000 students. 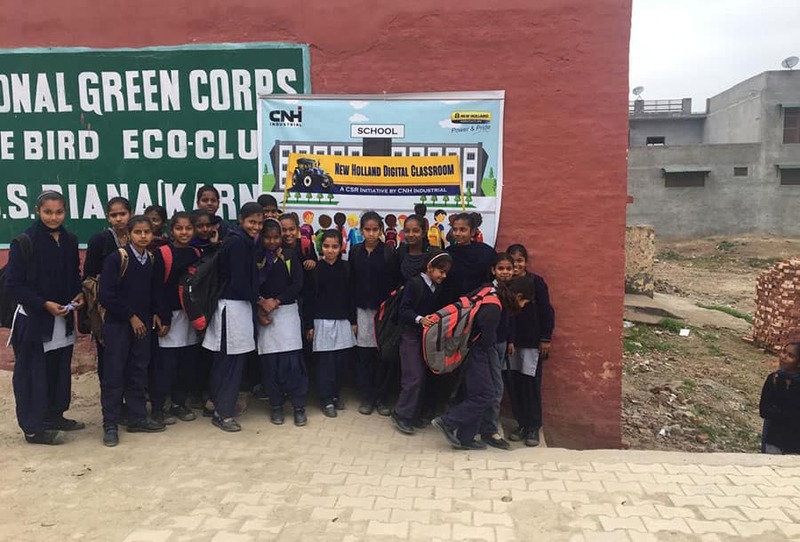 The project, started under the New Holland’s CSR (Corporate Social Responsibility) program, is aimed at enhancing the teaching quality and capacity of Indian government schools, by providing Indian students with multimedia school content through K-Yan, an integrated multimedia device for group learning needs. This device integrates a full-feature multimedia computer with a data projector, TV tuner, audio system, and DVD player with an ultra-large display, all in a single portable product. In its continuous efforts to contribute to society, New Holland sees this education initiative as another means to catalyse and sustain the development of the communities located in the proximity of its dealers’ operational areas. The K-Yan device is one of the core technology components of K-Class, which is a technology-led academic support system, aimed at assisting the teacher in creating a more stimulating environment in the classroom, thereby making education more involving and enriching for the students. K-Yan digital units comprise of multimedia lessons, videos, mind maps, assessments and practice sheets for science, mathematics and social science. • To enable a technology driven learning environment in schools with an ingenious combination of technology and curriculum mapped content. • Interactive K-Yan (Integrated Community Projector): The Technology Platform for the K-Class solution is based on an Integrated and Innovative Technology Platform, called K-Yan, wherein “K” stands for Knowledge and “Yan” stands for Vehicle in Sanskrit, transforming to “The Vehicle of Knowledge” Compared to conventional smart class technologies, the Integrated Computer Projector Technology (K-Yan) was developed keeping in mind the user i.e. Teacher and Student and not the Technology itself. • Interactive Multimedia Content: 2D/3D Content Modules: A variety of animated audio-video based modules developed on concepts across multiple subjects in order to enhance interest levels of the students. • Virtual Science Experiments and Exploriments: These are simulation-based interactive virtual experiments which enhance conceptual understanding in Science. The Exploriments provide a highly exploratory and engaging experience for students and teachers alike. • Science Videos: A wide collection of educational videos developed using easily available elements to explain concepts of science in a very simplistic and contextual manner. • Capacity Building of Teachers: The Capacity Building of Teachers is designed to create comprehensive Teachers’ capacity. 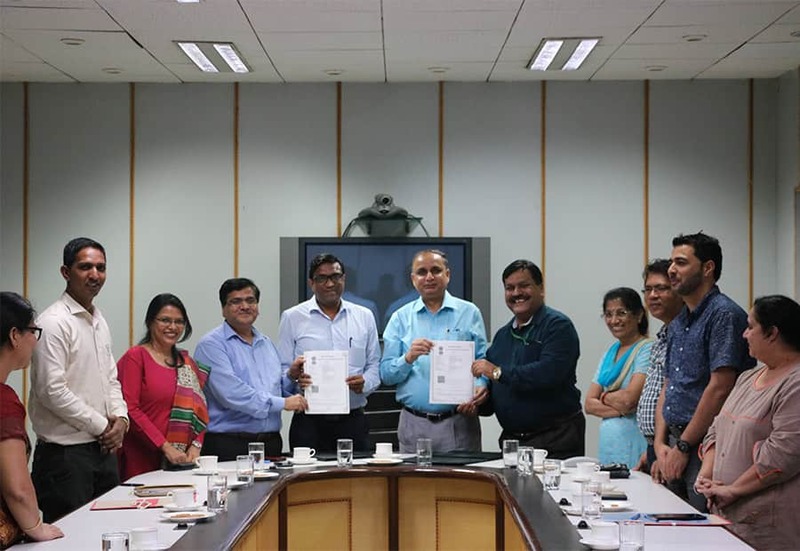 The New Holland project based on K-Yan technology aims to improve educational outcomes by facilitating the overall development of Indian students by giving them access to the world of information and modern teaching methodologies. 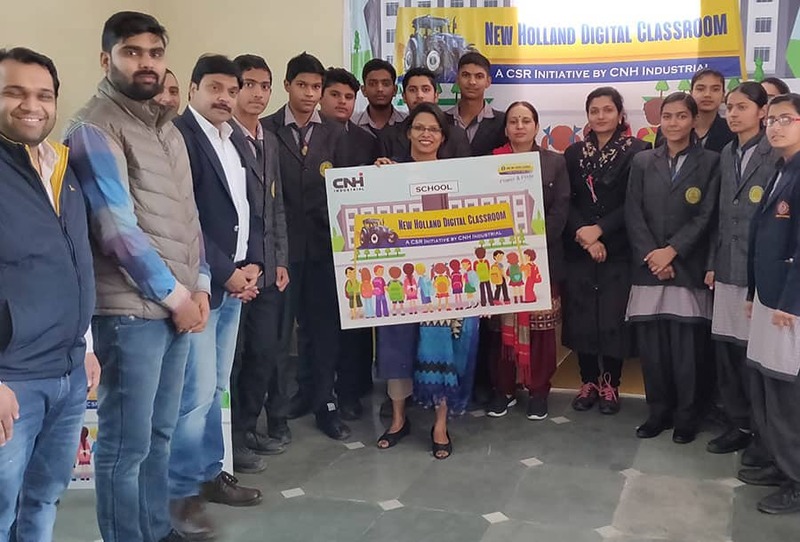 Periodical Impact Assessment will be carried out by CNH Industrial and New Holland teams to assess the impact on learning outcomes on the 77 schools in which the project will be implemented. 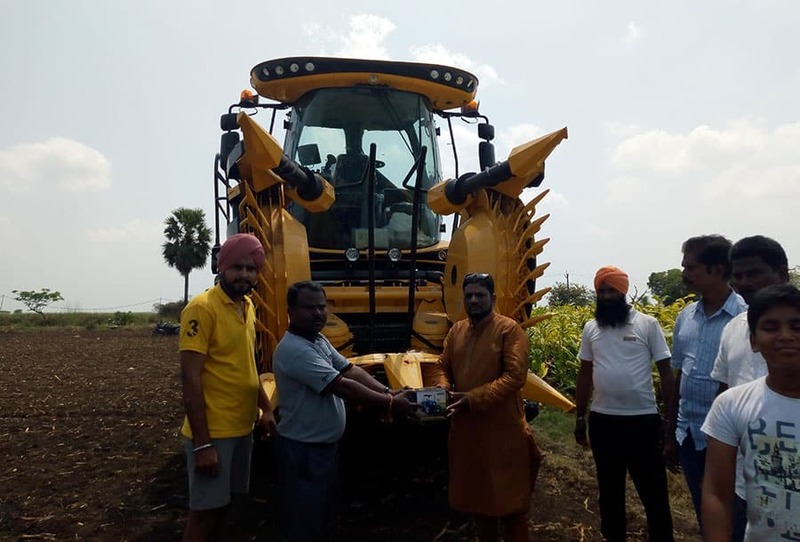 New Holland Agriculture, a leading global agriculture equipment brand, delivered a FR500 Forage Cruiser model from its self-propelled forage harvesters to NS Forage Solutions Private Limited. 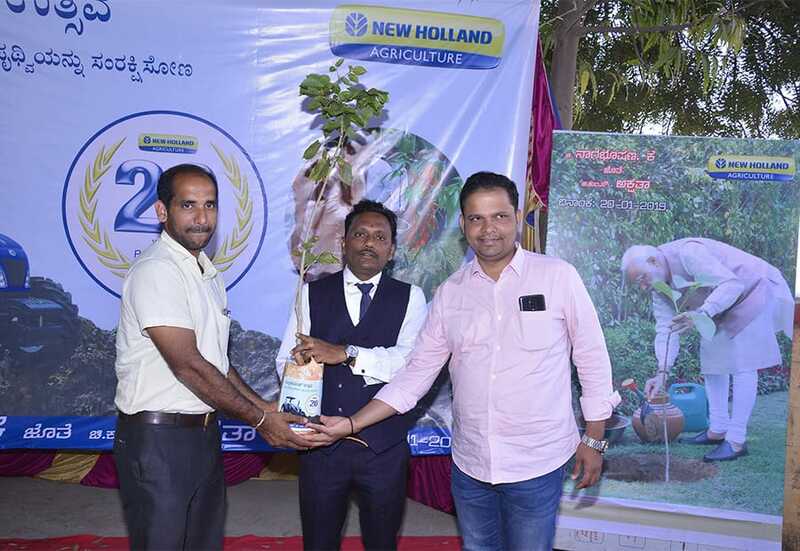 Inspired by New Holland’s CSR (Corporate Social Responsibility) activities, a New Holland dealer in Karnataka has given tree saplings to every guest who attended his wedding reception, conveying an important message: ‘We must protect mother nature’.